New Delhi: As the Doklam standoff shows no signs of easing amid reports of India and China enhancing troop deployment, India will have to be patient and be prepared for a long haul while keeping diplomatic channels active, a former envoy to Beijing who has long experience in dealing with China, said. Ashok Kantha, who retired in January 2016 as India's ambassador, said that the Doklam standoff is not the first prolonged one between the two nations. 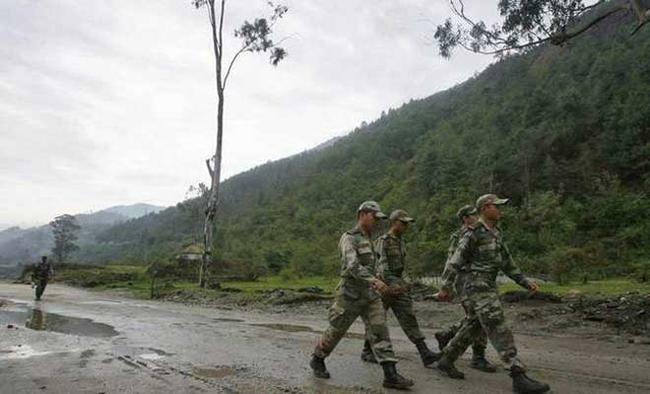 The Wangdung incident in the Sumdorong Chu valley in Arunachal Pradesh in 1986 dragged on quite some time, before it was resolved through talks. "If the Chinese take time to come to some kind of understanding, so be it. The Indian side will have to show their staying power to stay the course, and wait for some understanding," Kantha, Director of Institute of Chinese Studies, told. Recollecting the 1986 standoff, the former diplomat, who has also handled China ties as the pointperson (Joint Secretary, East Asia) of the Ministry of External Affairs, said: "I was involved in the Wangdung incident and its dissolution. The buildup started in middle of 1986ï¿½ We had some kind of de-escalation only by end of 1987, and actual disengagement between forces in immediate proximity to each other took nine years to achieve," he said, adding that the Doklam incident may not take so long. "But if it takes some time, then we will have to wait. We'll have to be patient." On reports of increased deployment along the border in the eastern sector, he said that India would have taken precautionary measures in terms of deployment "but nothing on a large scale is happening". "I don't anticipate any outbreak of hostilities in the area." According to him, the diplomatic channels between the two countries are active and the ambassador in Beijing and New Delhi are both "veterans of handling India-China relations". National Security Advisor Ajit Doval was in Beijing last month, during which he held bilateral talks with his counterpart State Councillor Yang Jiechi on the sidelines of a BRICS security meet. "Communication has not been disrupted. Normally we have a good communication with China." "They may say no talks without pullback by India, but in practice talks are talking place. Border personnel meetings are taking place, at Nathu La. Different channels of communication are active". According to China expert Srikanth Kondapalli, the heightened tensions between North Korea and US could lead to de-escalation in the Doklam issue. "The North Korea situation is happening next door to Beijing. A nuclear fallout will affect the capital city. We may possibly see some de-escalationï¿½ No country can fight a two-theatre war," Kondapalli, Professor in Chinese Studies at Jawaharlal Nehru University, told. China has already boosted troop deployment along the North Korean-Chinese border that stretches 1,415 km across Liaoning province.According to him, the North Korea-US tension is a "wild card". "We have to wait and watch, and it all depends on Trump and Kim," he said. Kondapalli said he had heard from sources in the Defence Ministry and in media reports that the Chinese side has mobilized some 700 troops and an additional 300 troops in Doklam plateau. He said there are reports that China has stationed its J11 and J10 ace fighter aircraft in Tibet, and the HQ9 surface-to-air missile system opposite Arunachal Pradesh.According to another view, strategic expert Jai Kumar Verma says the Chinese in fact "want to wriggle out of the situation". "The Chinese cannot afford a war with India and nor can India," Verma told. He said that President Xi Jinping is seeking re-election as the general secretary of the Communist Party of China ahead of its 19th National Congress in October. "He wants to gain strength by raising the Doklam issue. "They are building up troops, but China does not want war with India. This is only threatening," he added.